Say goodbye to the snooze button for good. We’ve all been there, groggily stumbling through finding clothes, scarfing bites of toast, and trying to find our car keys (sneaky little buggers). With a little help from neuroscience, though, you can tweak your routine so it’s easier for your brain to quickly, fully come on board after you wake up, regardless of whether you get up whenever you darn well feel like it or have a 4:00 a.m. habit. Yep, just the plain old clear stuff. After sleeping all night, your body is dehydrated. Not beef jerky dehydrated, of course, but remember, human beings are up to 60 percent water. The cells in your brain are mostly water, too–in fact, water makes up about 73 percent of your noodle. In addition to flushing away waste, regulating temperature and helping cells grow and survive, water is required for jobs like making neurotransmitters and hormones, which influence everything the brain does. Researchers assert that if you don’t top off the tank, dehydration can impair both short and long-term memory, as well as attention. Everyone’s water needs are unique, but somewhere between 12 and 20 ounces is a good starting target. The best way to tell what you need is just to keep an eye on the color of your urine and drink more water the darker yellow it is. If you’re running totally clear, you’re probably actually getting too much and can back off. If you really can’t deal with plain water, the good news is, coffee is an acceptable cheat. (Insert sweet fist-bump here, am I right?) It can have a mild diuretic effect, but that effect isn’t enough to increase dehydration risk, especially if you opt for decaf, and the water used for the coffee still counts toward overall fluid intake. 2. Listen to fast-paced music. Brain waves actually will synchronize somewhat to the pace of what you’re listening to, meaning that more upbeat tracks help move the brain into a more active state. Genre fortunately doesn’t matter one crumb here, so whether you pick Rimsky-Korsakov’s Flight of the Bumblebee or Williams’ Happy, your smartspeaker wake-to-music alarm can help you out. Light is critical to regulating your circadian rythym. When it hits your eyes, it stimulates a nerve pathway that connects the retina and hypothalamus in the brain. From there, a specific part of the hypothalamus, the suprachiasmatic nuleus (SCN), tells other parts of your brain to mess with body temperature, hormones and other factors that wake you up. Natural light is ideal, but since sunrise usually doesn’t match when most people have to get going, and since it can be harder in urban areas to get unobstructed sun, try a light-based alarm clock. These are designed to start brightening the room a little before you have to get out of bed. The idea that inverted exercises (think downward dog in Yoga) increase blood flow to the brain is a huge myth–the body has protective mechanisms to keep the brain’s environment consistent. Stretching also isn’t a warmup–muscles respond best to it when they’re already warm, meaning it’s best to do after you’ve already been moving a bit. But light exercise does get general circulation going better, and that does have a positive influence on the oxygen and nutrients the brain gets. So do some jumping jacks, go for a quick walk with the dog, or pop in your favorite workout video to tell your brain to pay attention. Exposing yourself to a cold shower triggers a host of biological processes in your body, such as increasing blood flow, increasing neurotransmitters, and upping your respiration. These give you a small burst of energy and can even put you in a better mood. If you still need some anecdotal evidence to be convinced, Inc. Tested tried out the cold shower routine and concluded the benefits are real. So there you have it. I do the coffee thing, the music thing, the sunshine thing, but the cold shower will be hot, the exercise can wait. Whose with me ? At 23 years old, Ben Pamment ran out of excuses. The 6-foot New Zealander found himself weighing in at just over 313 pounds, and experiencing anxiety and depression. Though he suffered a knee injury years earlier, he could no longer think of a reason for being so unhealthy. But, after “breaking up” with his best friend-sugar-he pulled off a staggering 156-pound weight loss transformation in nine short months, and found himself in a much healthier mental state, too. Just three weeks into his new lifestyle, Pammet’s mother sent him a photo. In those 21 days, Pammet lost about 22 pounds. And it showed. And achieve it, he did. In nine short months, Pammet dropped to 162 pounds, marking a 156-pound weight loss. As for advice he’d give others? “You only get out what you put in,” Pammet said. The Elimination Diet–Try it ! 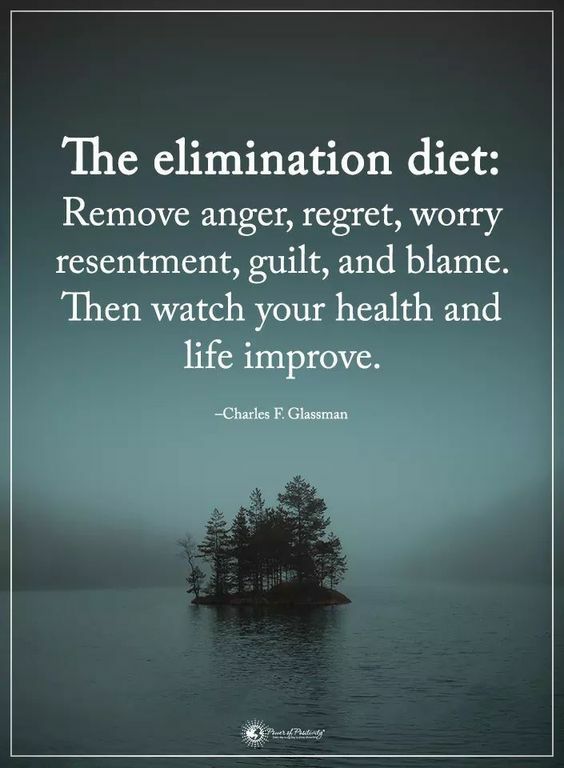 Author Dennis HickeyPosted on April 14, 2019 April 14, 2019 Categories HealthLeave a comment on The Elimination Diet–Try it ! “Mixing up your workout makes you not only the healthiest version of yourself, but also the happiest,” says Larysa DiDio, celebrity trainer and host of Tone Up in 15, a fitness DVD with five different 15-minute workouts you can do each week. Research shows that diversifying your workouts revs up your enthusiasm and can lead to better results by challenging different muscle groups. If your cardio workout has slumped into blah territory, this 15-minute cardio workout will make you excited to slip on your sneakers and get your heart pumping. It will strengthen your upper- and lower-body, as well as your core. The best part? You only need a yoga mat and a pair of light dumbbells. DiDio recommends doing this workout five days a week, or pairing one of the exercises with a brisk walk. Trust us—you’ll see the results! Last Thursday, Rolling Stones frontman Mick Jagger underwent heart valve replacement surgery. The 75-year-old rocker was “devastated” to cancel the North American leg of the band’s No Filter tour, but just one day after surgery, Jagger took to Facebook to thank his fans for their support. “Thank you everyone for all your messages of support, I’m feeling much better now and on the mend—also a huge thank you to all the hospital staff for doing a superb job,” he wrote. Jagger’s younger brother, Chris, said in a recent interview with The Sunday People that the singer is lucky to be alive after a scan revealed that he had a heart condition similar to one that killed The Clash star Joe Strummer at age 50.